The Paideia Program advocates that all learners practice the critical thinking, communication skills, and attitudes necessary to earn a living, be an active citizen, and pursue a meaningful life. 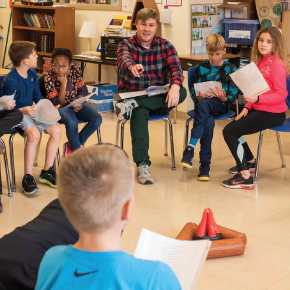 Paideia is active learning—fostering critical and creative thinking through Paideia Socratic seminar, intellectual coaching, and authentic action. 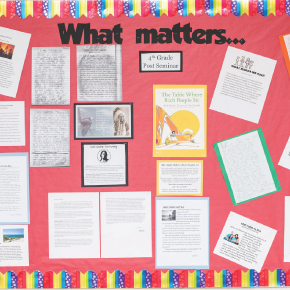 Paideia is high quality education for all—preparing children of all backgrounds, in all kinds of schools, to live up to their full and resonant potential. Paideia is preparation for a full life—-teaching all students to Think, Discuss, and Act in ways that will help them thrive in the volatile world of the 21st century.